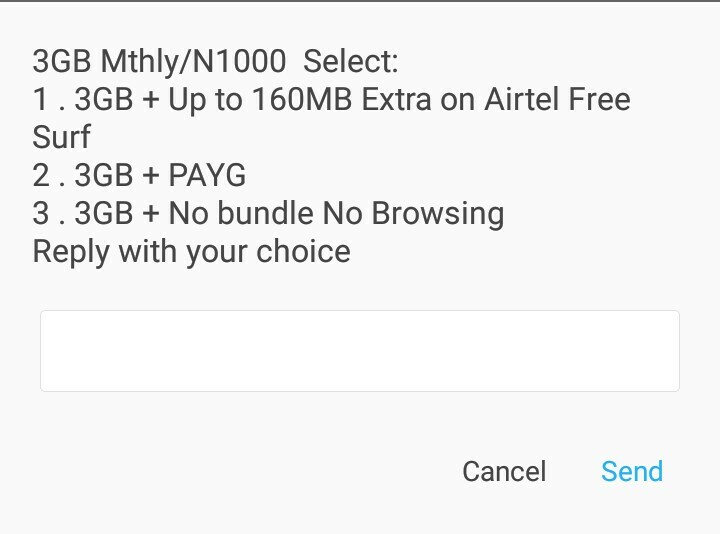 Airtel Nigeria reintroduces the Airtel N1000 for 3GB data plan which function and work perfectly on all Airtel SIM cards thereby not requiring any SIM card eligibility before you can use it. 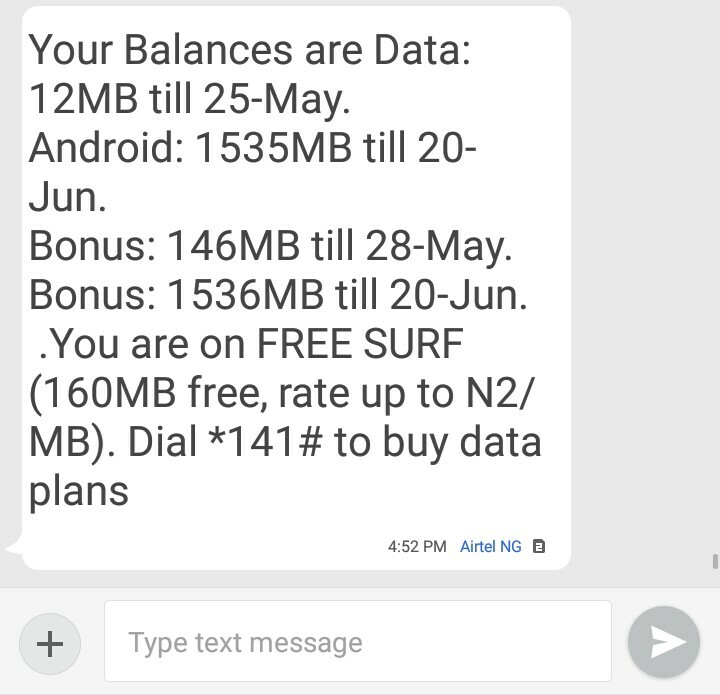 This Airtel N1000 for 3GB data plan was formally confiscated when Airtel ended their partnership with Blackberry services but recently reintroduced it again. There are two ways you can use to subscribe to Airtel N1000 for 3GB data plan. The first method involves Airtel data auto renewal while the second method is with the aid of using some Airtel USSD codes. Read also: How to use USSD code or SMS to Share Data On MTN, Airtel, Glo and 9 mobile. First method - Auto renewal: When an Airtel customer subscribes to Airtel 1000 Naira for 1.5gb monthly data plan and he or she renews the existing data plan before its exhausted then the renewed subscription will be doubled i.e from 1.5gb to 3gb. Dial *496# to subscribe to the usual Airtel N1000 for 1.5GB data plan. Then after the subscription you can renew the existing one before its exhausted and Airtel will give you additional 1.5gb data bonus which will make it 3gb in total. 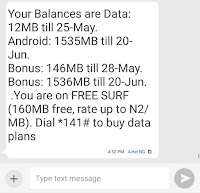 This second method is to subscribe to Airtel N1000 for 3gb using some USSD codes which will give you instant Airtel 3gb for each N1000 Airtel Subscription you make. To get this recharge your Airtel line with N1000 and dial this subscription code for N1000 Airtel data plan - *431# put in 1 on the box and press send to subscribe. To check for the data plan you have subscribed to or to check for your remaining data plan just dial *140# on your phone.